Most tire installers recommend to have your tires rotated every 5,000 miles, and we don't disagree with that at all. We typically recommend that you have them rotated with your oil change. We want to save you a trip and just take care of it all at once. The bottom of your transmission has a pan on it with a gasket, over a period of time that gasket can wear out and it will need to be replaced. It's another item that we suggest doing with maintenance. Your transmission fluid should be serviced every 30,000 to 50,000 miles. Yes I realize that there are plenty of places out there and manufactures that say you only need to change your fluid every 100,000 or it's "lifetime" fluid. To have your transmission repaired or replaced it can be expensive, and fluid services can extend the life of your transmission by 100,000+ miles if serviced on a regular schedule. Give us a call or request an appointment online and let us take care of you. Why won't my diesel truck start? Anytime that your vehicle doesn't want to start it can be frustrating. It can be anything from a bad starter, ignition switch to an issue with your glow plugs. 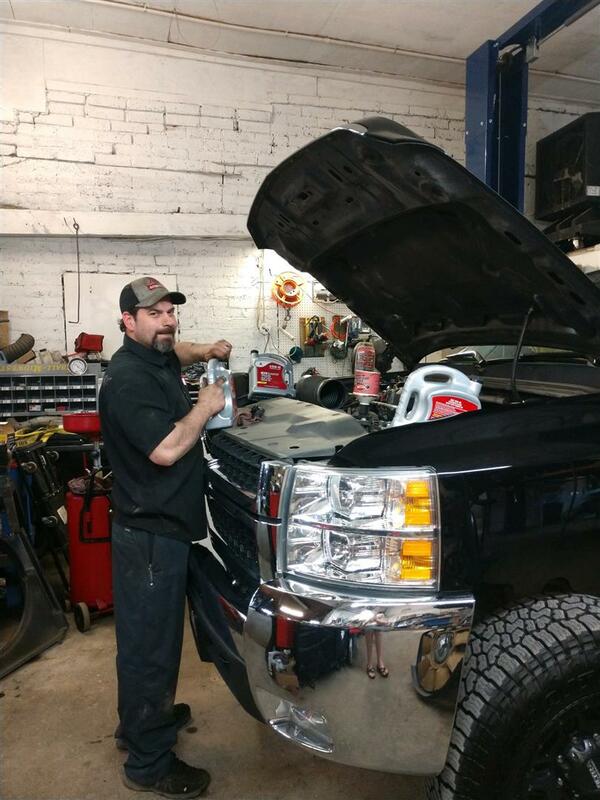 We're here to take care of you and all of your automotive needs. From gas to diesel, hybrid and electric we take care of all makes and models. Why does my car squeak when I go over bumps? If your car is squeaking when you go over bumps - like speed bumps or railroad tracks - then your shocks and/or struts are probably worn out and are in need of replacement. Your shocks and struts due to be replaced every 75,000 to 100,000 miles. They wear over time so it isn't that noticeable that your vehicle isn't handling as well and the ride quality isn't what it was when you first bought your vehicle.